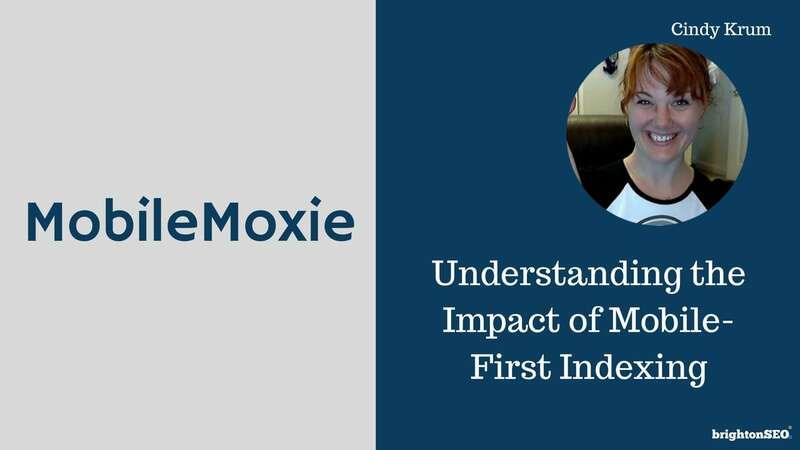 Mobile-First indexing is about a whole new index where URLs are not required to compete. Competition is more driven by markup, feeds and potentially Google-hosted options like actions & database information from Google Firebase. Cindy Krum is the Chief Executive Officer of MobileMoxie, LLC (Previously Rank-Mobile LLC). She brings fresh and creative ideas to her clients, speaking at national and international trade events about mobile web marketing, social network marketing and international SEO. Cindy Krum also writes for industry publications, and has been published in Website Magazine, Advertising & Marketing Review, Search Engine Land, ODG Intelligence, and quoted by many respected publications including PC World, Internet Retailer, TechWorld, Direct Magazine and Search Marketing Standard.